A conference for teachers, dancers, parents and school administrators interested in integrating dance and movement into education in the North Country. Click here to REGISTER for this great conference! 9:15-10:30 Round Table Discussion: Dance in Our Schools | Where are we now? Where do we want to be? A panel of dancers, educators and arts administrators discusses the challenges and opportunities of bringing dance into schools. Panelists include Emily Anderson, a recent graduate of the Bennington College dance program and a participant in Extending the Dance Map; Ashley Hensel-Browning, a Vermont juried teaching artist and fellow of Extending the Dance Map; Jeanne Limmer, NH State Council on the Arts Arts in Education roster artist and director of the Jeanne Limmer Dance Center and Axis Dance Company; Marcia McCaffrey, arts consultant, New Hampshire Department of Education and a dance educator; and Marcia Murdock, director of the dance program in the Department of Theatre and Dance at Keene State College. Experience, explore and discuss strategies for teachers, parents and students to address issues of bullying, and cultivate compassion and understanding through movement and dance. Limmer is a NH State Council on the Arts Arts in Education roster artist and director of the Jeanne Limmer Dance Center and Axis Dance Company in North Conway. Based on a Collaborative Integrated Curriculum Model using both state curriculum frameworks and National Dance Standards, this participatory workshop explores tools for integrating the arts with non-arts disciplines in school settings. Clapp is a choreographer, theater artist and writer and has served as a faculty member for the Liz Lerman Dance Exchange and guest artist with companies around the country. He is Director of Maryland’s Dance Box Theater. 3:00-4:00 Closing discussion: Moving the Process Forward: The need for more dance in our schools! Conference cost: $25 ($15 for Arts Alliance members); $15 for high-school and college students ($10 for AANNH members). Lunch included. Scholarships available. This conference is presented through a partnership with the Arts Alliance of Northern New Hampshire, as part of Extending the Dance Map, an initiative to bring more dance to rural northern New England schools, with support from the Dana Foundation and the New Hampshire State Council on the Arts. Kids dance for FREE at Cultivate!! Cultivate is for Kids too! On Saturday, August 11, Cultivate joins forces with the Bethlehem ArtWALK to provide three exciting workshops, for kids and families! Taught by award-winning and nationally recognized teachers, these classes are sure to get your young dancer moving! For more information, and registration click on the title of each class. ALL KIDS’ CLASSES ARE FREE! 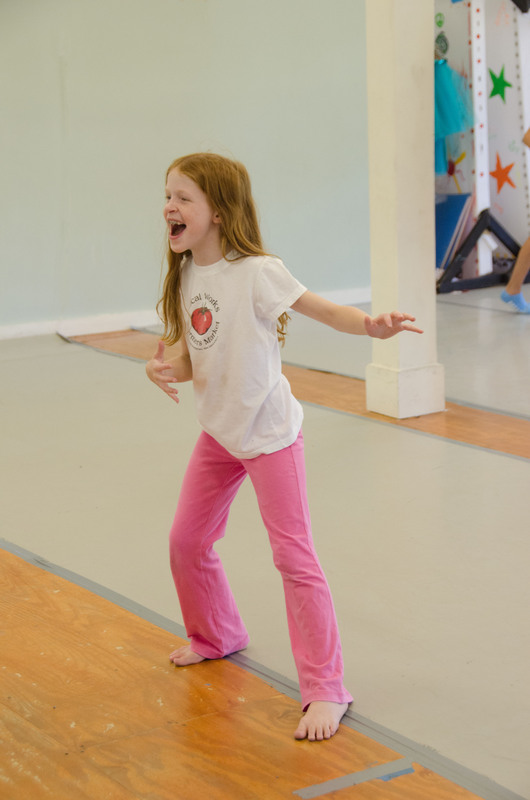 This workshop encourages families to play, move, and create together with the intention of exploring the physical space and their relationships with each other to make movement phrases. We will use improvisation and choreography structures that encourage full-body movement, curiosity, and play to build dances to share with each other. We will begin by exploring the space we are dancing in (preferably outside if weather allows, however, an inside space can be great as well) through observation, movement play, and sharing stories/memories. Gradually we will move into guided dance-building with the intention of sharing our work with each other, celebrating the space and people we are dancing with. Workshop is open to all families and ages.